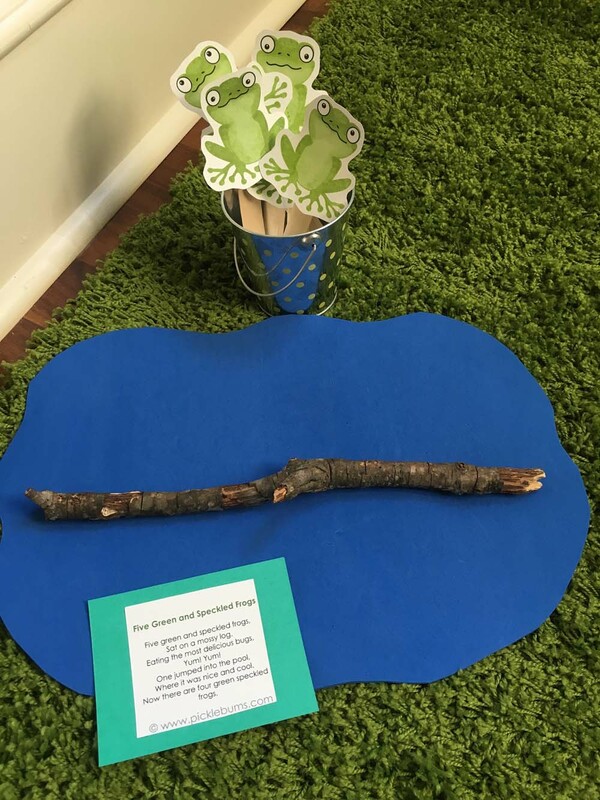 Here are some of Brexton’s favorite frog activities that are perfect for your littles in the preschool age! Having an energetic and rambunctious boy, I have many moments where I wonder, “How am I going to keep him entertained all day?” Race cars and dinosaurs only last so long, and we limit screen time in our house. So I’m always looking for fun, engaging and enriching activities that Brexton enjoys and I feel good knowing he’s learning new skills or knowledge. 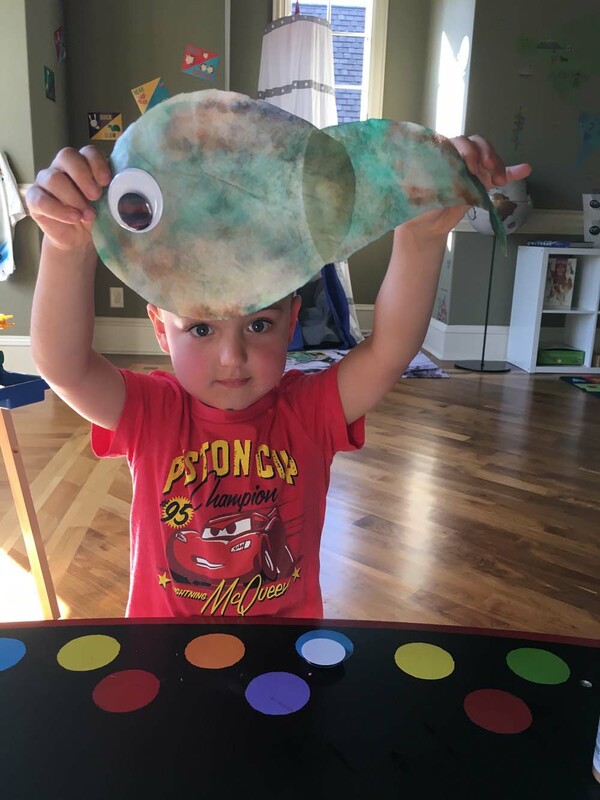 We try to spend a couple hours each day with Brexton doing educational activities that are appropriate for his age and skills. 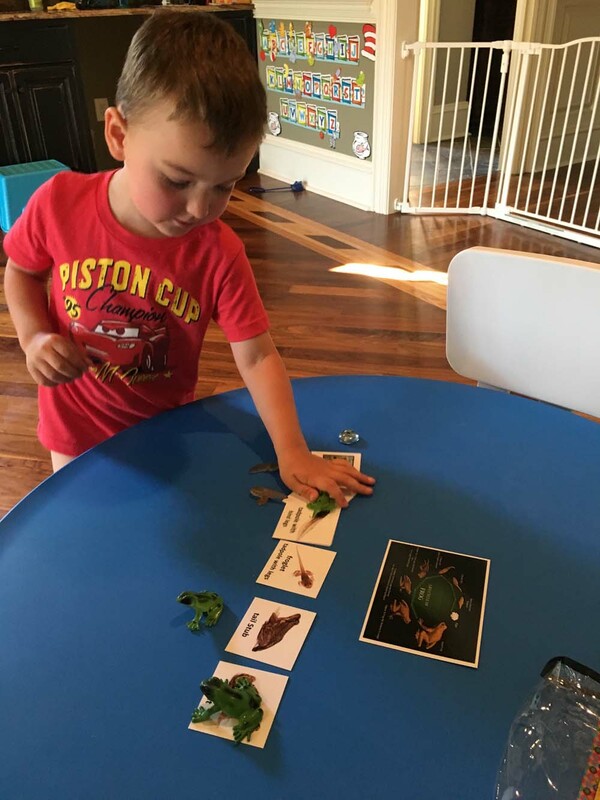 He’s learned about dinosaurs (of course), the human body and just recently we discovered that he LOVES frogs (such a boy!). He also loves making things and being crafty. So a quick search online led to me to all sorts of fun frog activities that we can do in his clubhouse right at home. I’ve linked the activities below and included some items I purchased from Amazon (Prime is a mom’s best friend!). These activities are so easy to print out, set up, and prepare. I’m not sure who had more fun –Brexton or me! 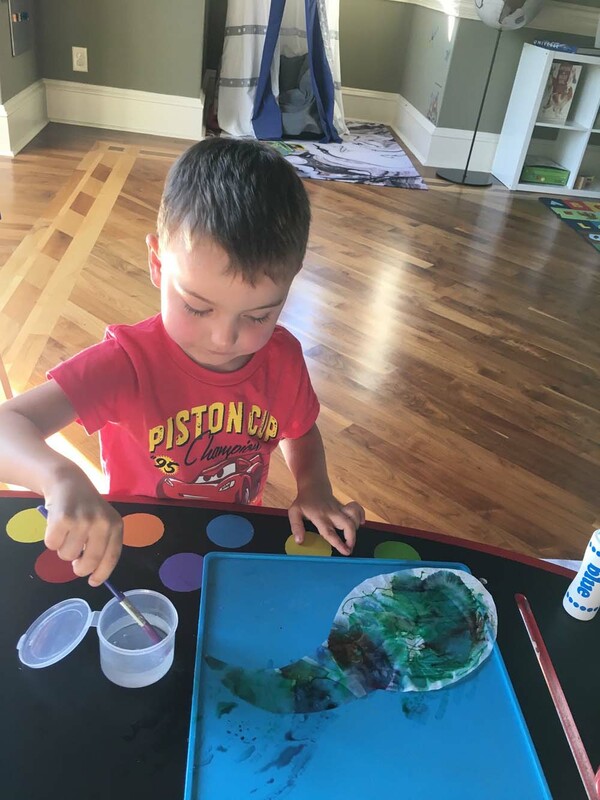 I’d love to hear more about any educational and crafty activities your kiddos have loved so we can add them to our list! 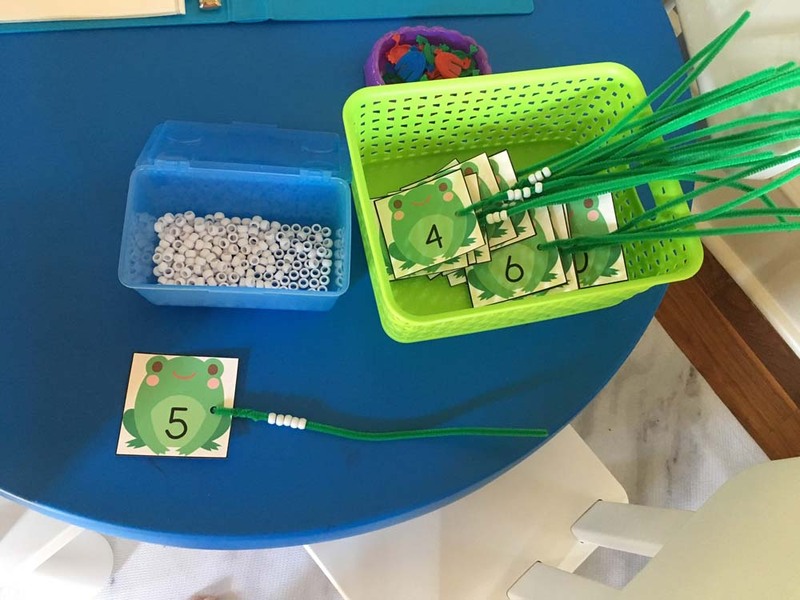 This Five Green Frogs music game combines frogs, numbers and music—making it the perfect learning activity for toddlers. To make these hoppy, singing frogs, you just print them out, cut around the grey outlines and laminate (if you have one available). Then glue popsicle sticks and make them sing! 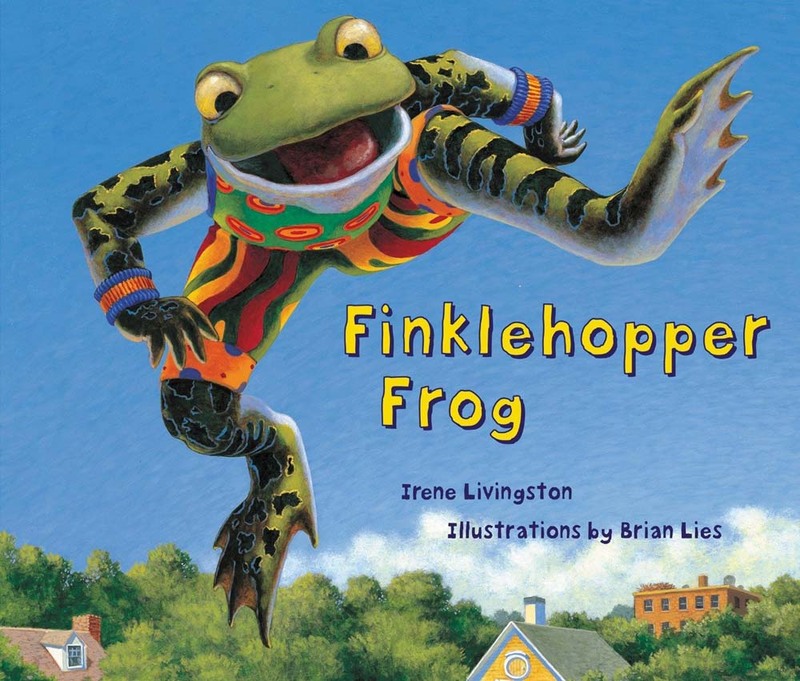 Here’s a link to this great Frog Life Cycle Hand Puppet. 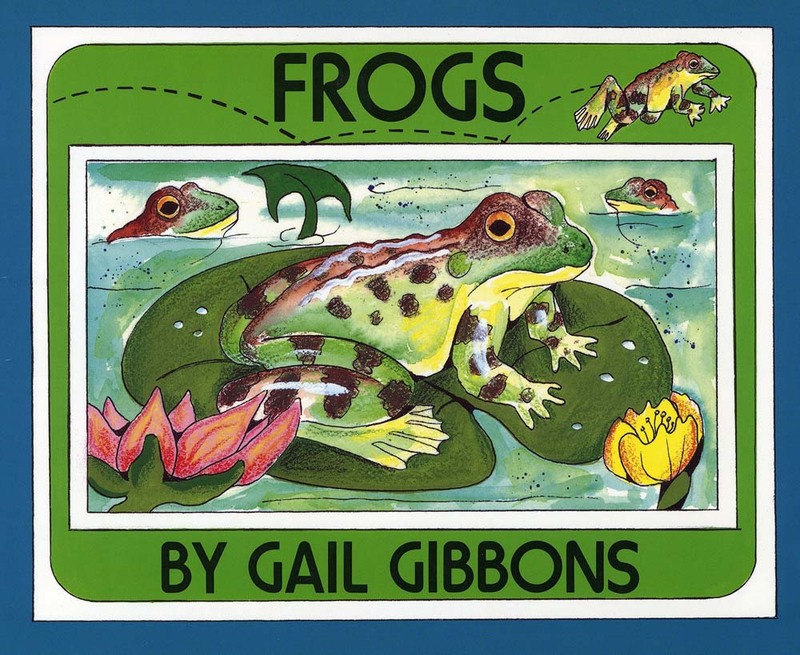 It comes with three stages of the frog’s life: egg, tadpole, and frog and makes learning even more fun for the kiddos! 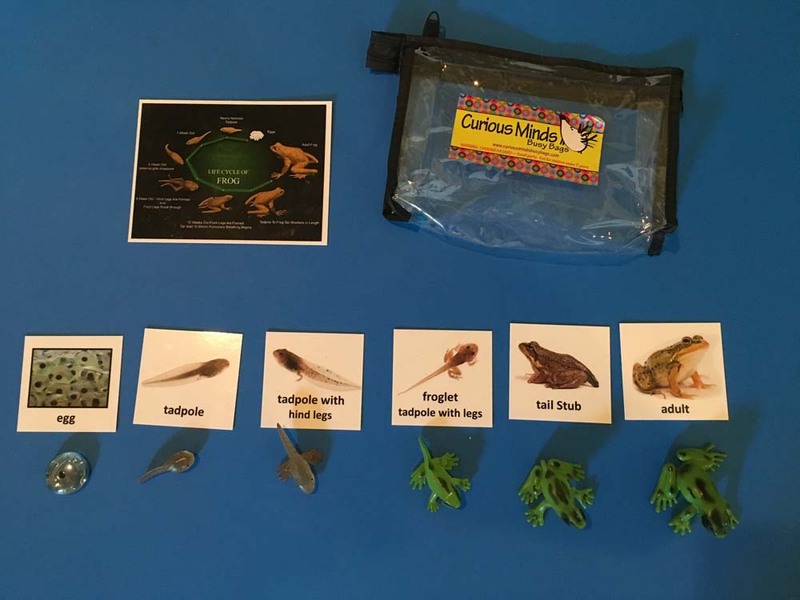 This Frog Cycle Life Cycle Match Cards & Figurines activity focuses on the science of frogs as they grow from tadpoles into frogs. Brexton matched the figurines to the photo cards and learned more about each stage. I love that it comes in its own little pouch and is great for travelling too! 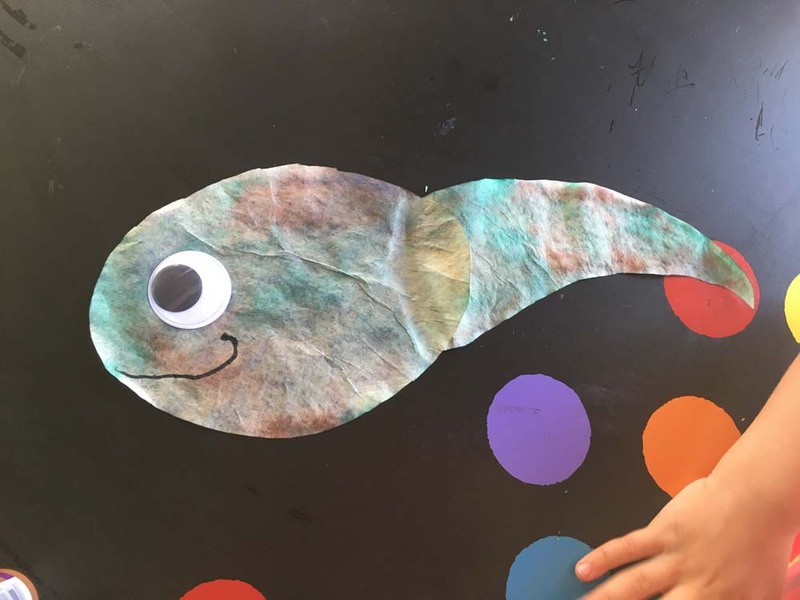 For this fun tadpole craft, you just cut one coffee filter in the shape of a tadpole head and one in the shape of the tadpole’s tail and tape them together. Your little one colors the tadpoles with markers. Then, put the tadpole on a tray and paint with water all over the coffee filter—you could also use eye droppers. The water will cause the markers to bleed, making the colors morph together. Dry on a paper towel. Once dry, glue on googly eyes and draw a mouth. 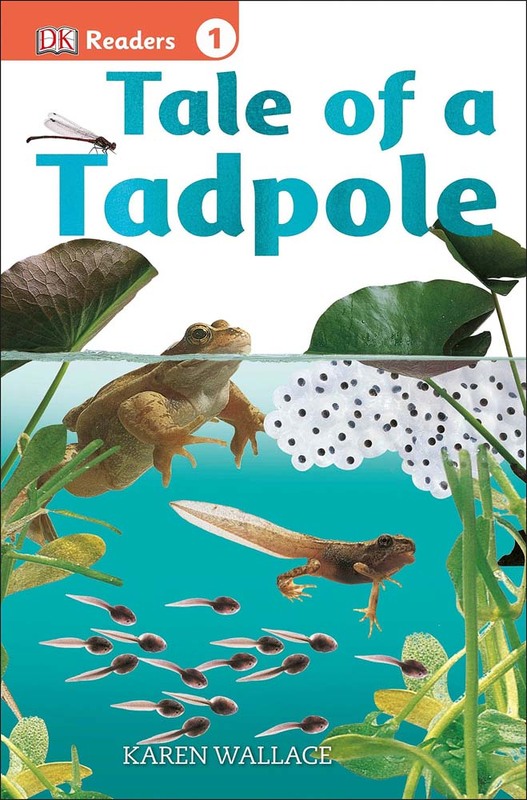 Then you can hang it in the window so you can show off your tadpole! 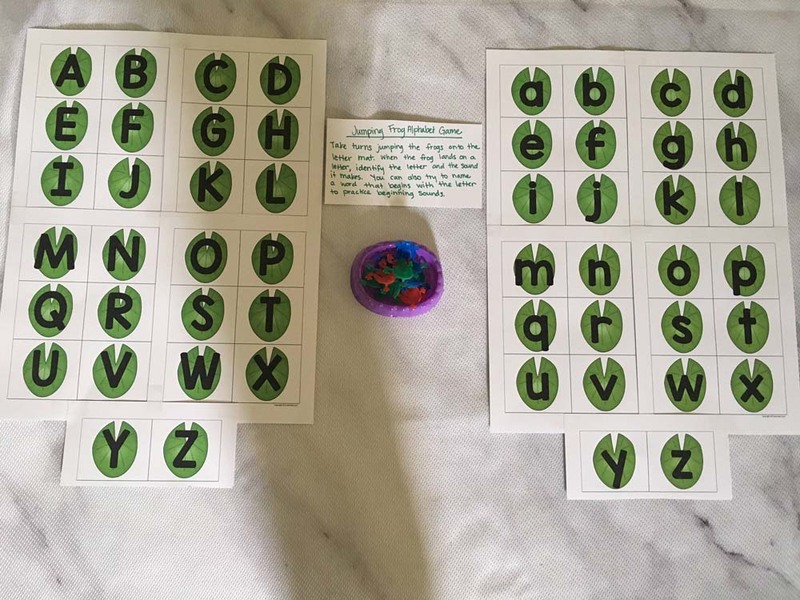 This Jumping Frog Alphabet Game is a fun way to practice sounds. 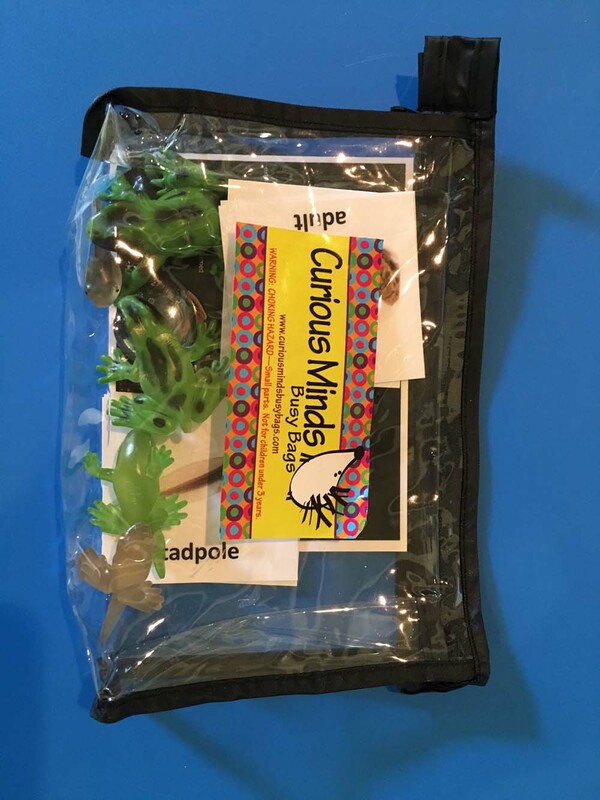 To prepare the game, you’ll need the printable mat and a set of plastic “jumping frogs.” The jumping frogs are usually available in dollar stores or the party section of discount stores, so they’re very inexpensive! 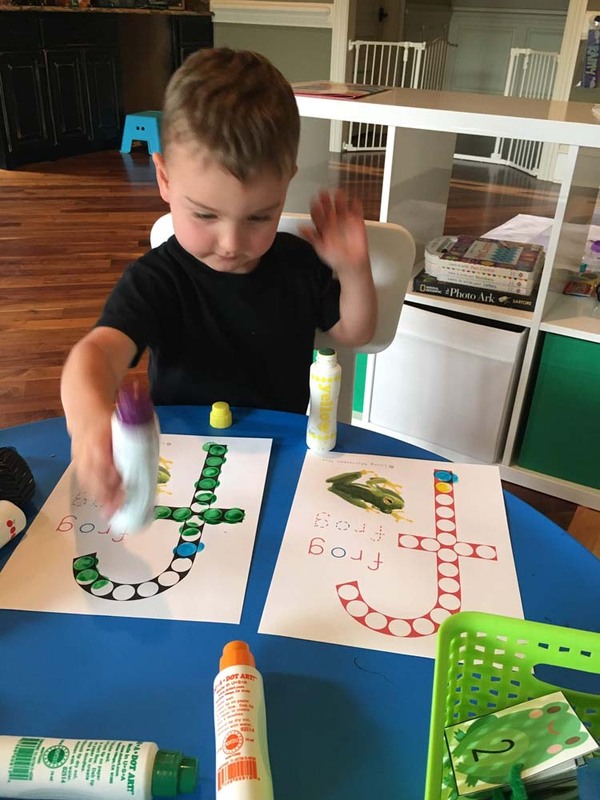 The printable letter mats come in lowercase letters and uppercase letters, as well as a color version and a black and white version of both. To start, you print out the mat onto 5 sheets of card stock paper, then assemble the sheets into one big mat using clear tape. 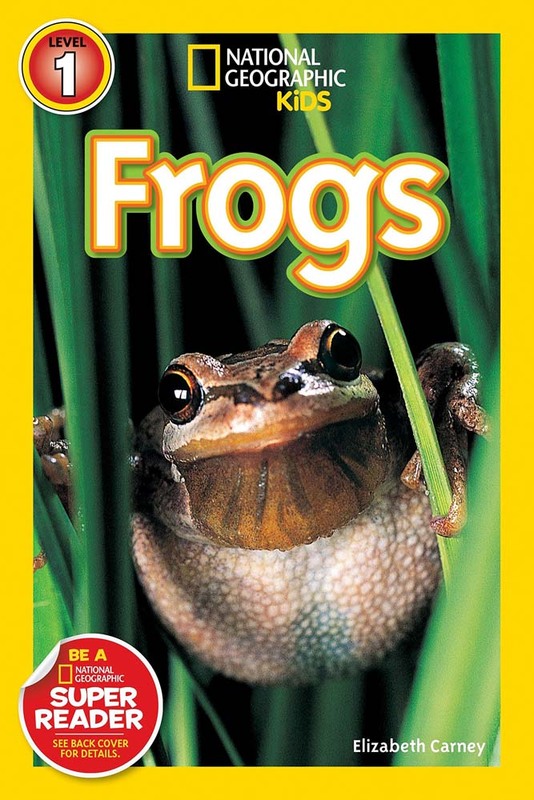 To play this alphabet game, your little one presses the back of the frog to make it jump onto the letter mat. When the frog lands on a letter, they should try to identify that letter. If the frog lands off the mat, have them try again. Then, if they still don’t land on a letter, point to a letter for them to name, and continue playing! 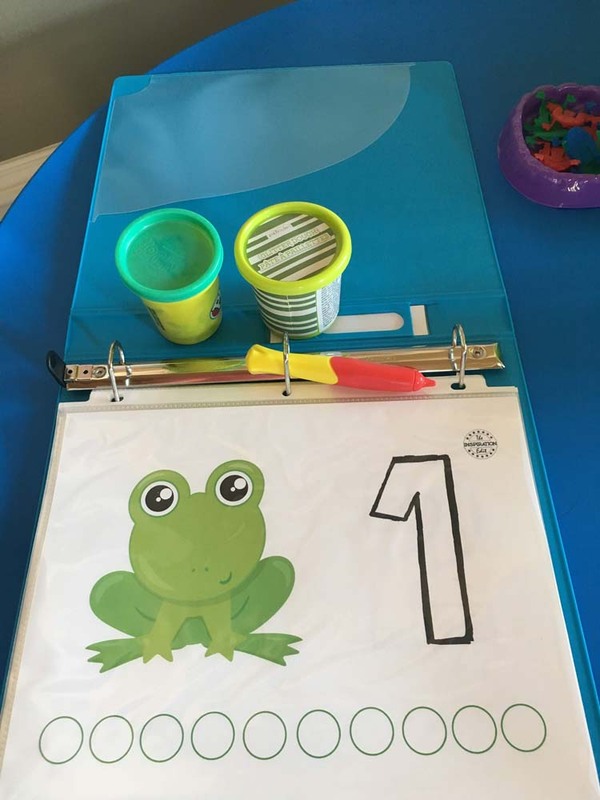 To play this Fantastic Frog Counting game, all you need is a printer, plastic sleeves (or a laminating machine if you have one) and play-dough! 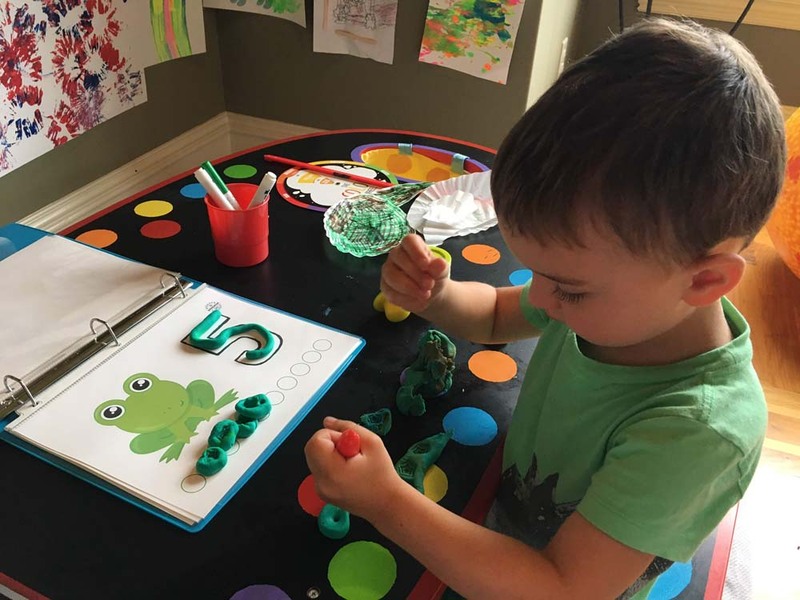 To use the counting mat, your little one uses the play-dough (Brexton used green play dough because frogs are green – and it’s his favorite color) to mold it into the shape of the numbers. 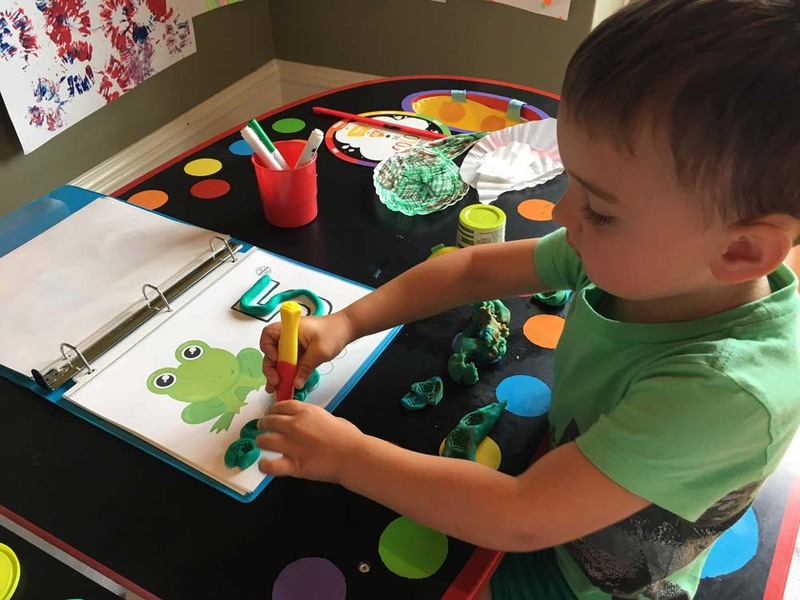 These frog themed play-dough counting mats can be used with other mediums such as blocks, counters or even plastic frogs. 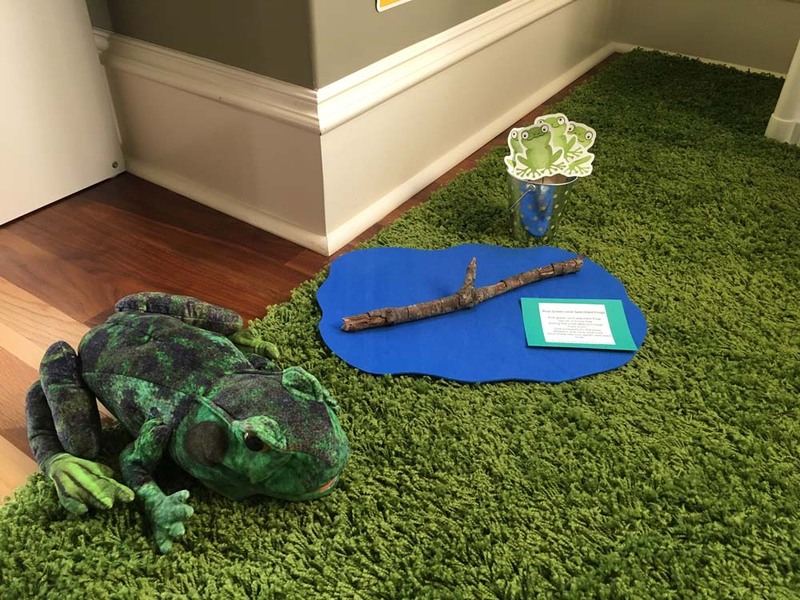 Frogs AND play-dough—what toddler wouldn’t love this activity? Brexton is getting so good with numbers! 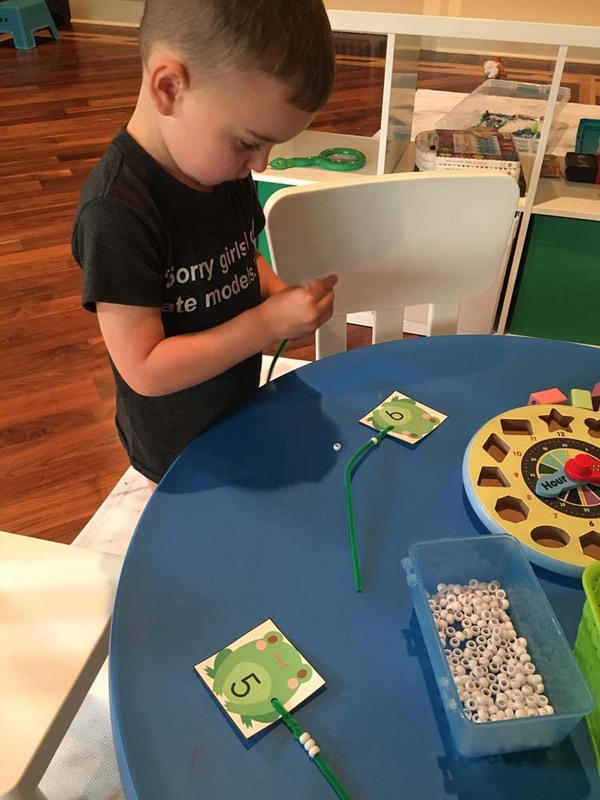 This Frog Numbers beading activity definitely helps to reinforce numbers 1-10 and keep on building those fine motor skills. Whatever number is listed on the froggy is the number of beads put on the pipe cleaners. 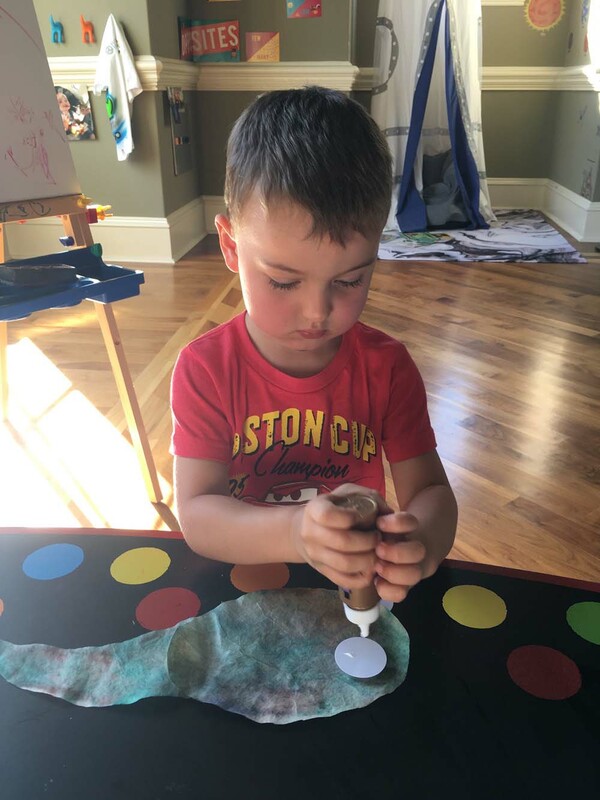 Brexton was so focused on the task and then was so proud when he accomplished it! Be still my heart. Another activity Brexton loves is using do-a-dot markers. 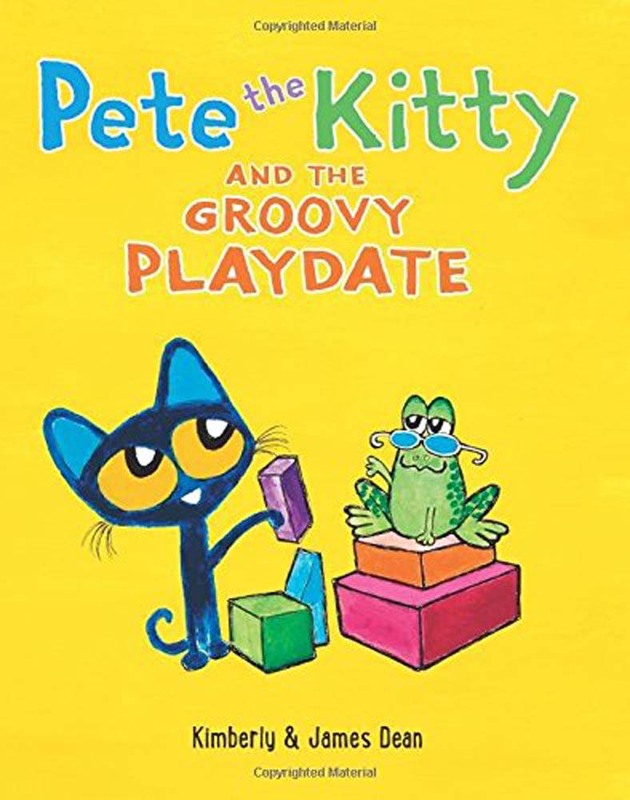 They’re a fun way for kids to develop the coordination needed for writing! 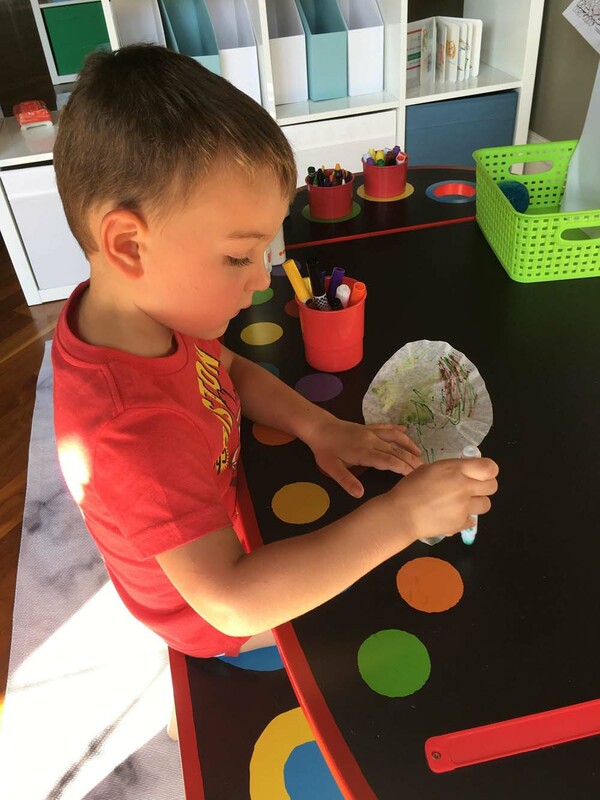 To do this Frog Do-A-Dot activity, your little one uses the do-a-dot markers to follow the outline of the letter. 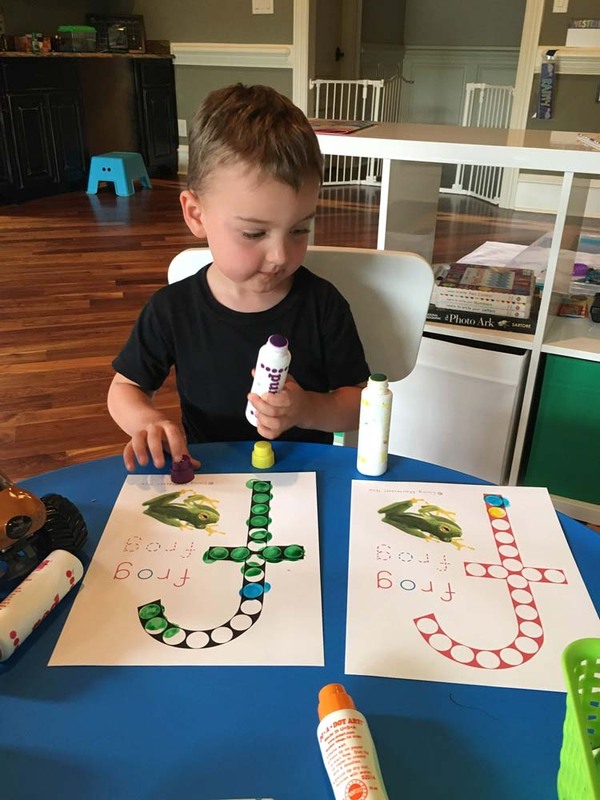 Brexton dotted out the letter “f”—for frog!